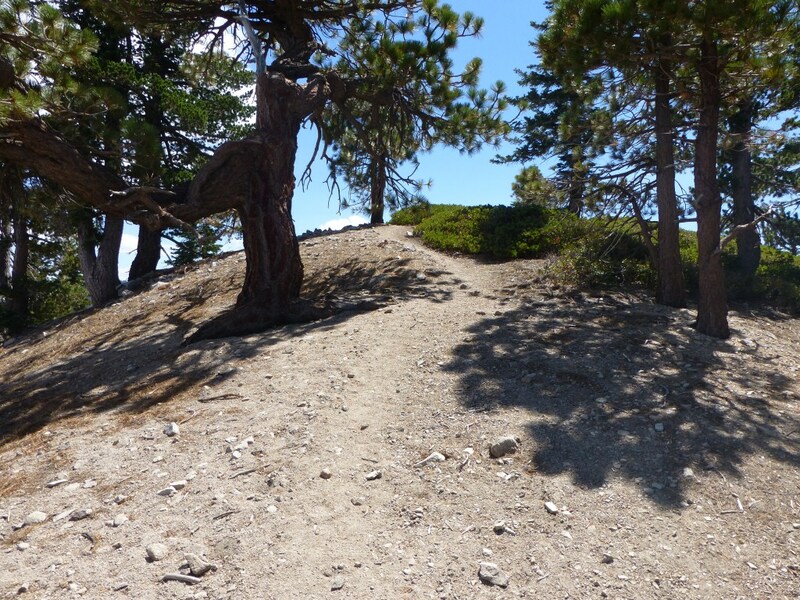 Segment: Pleasant View Ridge: JCT Pacific Crest Trail to Mt. Williamson. Stats: JCT Pacific Crest Trail to Mt. Williamson: 0.5 miles, 314′ gain, 0′ loss. Mt. Williamson to JCT Pacific Crest Trail: 0.5 miles,0′ gain, 314′ loss. Round Trip: 1.0 miles 314′ gain and loss. This is a “use trail”, meaning it is fairly clear to follow but not maintained. This segment is easy to follow. However, it is fairly steep and thin in a couple spots. 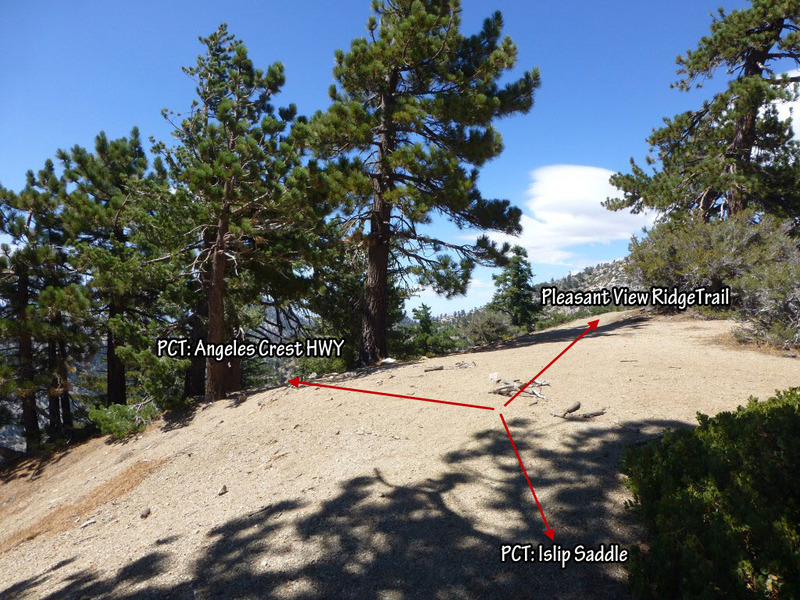 The Pleasant View Ridge Trail begins at a T-intersection forming a junction with the Pacific Crest Trail and heads north up the ridge [note: regardless of the direction of travel, the PCT continues downward at this intersection–west to Angeles Crest Highway, east to Islip Saddle (also along Angeles Crest Highway). T-intersection of Pacific Crest Trail and Pleasant View Ridge Trail. Follow the ridge up to a T-Intersection as the ridge turns to east/west. Following the trail west (left) leads to Middle Mt. Williamson. Take the very short trail east (right) to Mt. Williamson. View at T-intersection looking east (right) toward Mt. Williamson.